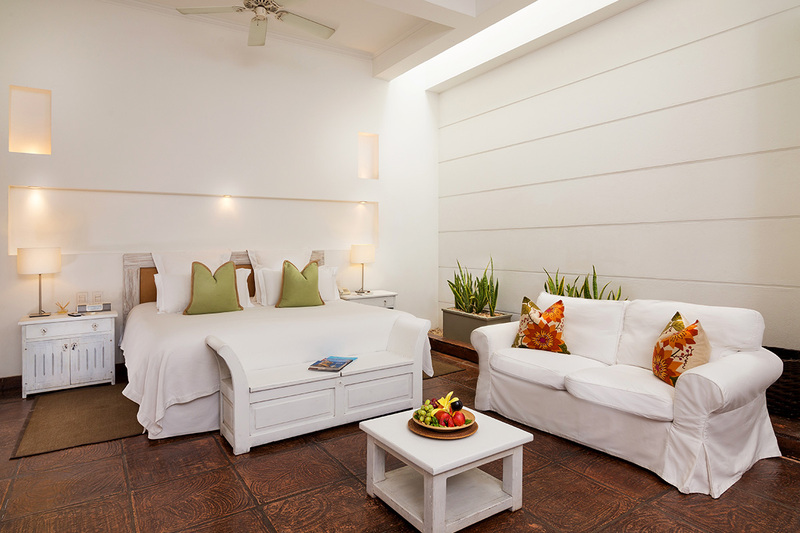 Style, elegance and warmth characterise these Luxury Hotel Cartagena Junior Suite, approximately 540 Sq. Feet. Modern and contemporary décor form a warm environment with every detail. Soft bath robes and slippers will invite you to relax. 42” T.V. with satellite cable. Air conditioner and ceiling fans provide a cool and comfortable temperature. The beds have comfortable high quality mattresses and 100% cotton, 600 thread SATEEN sheets. All rooms offer a safe. 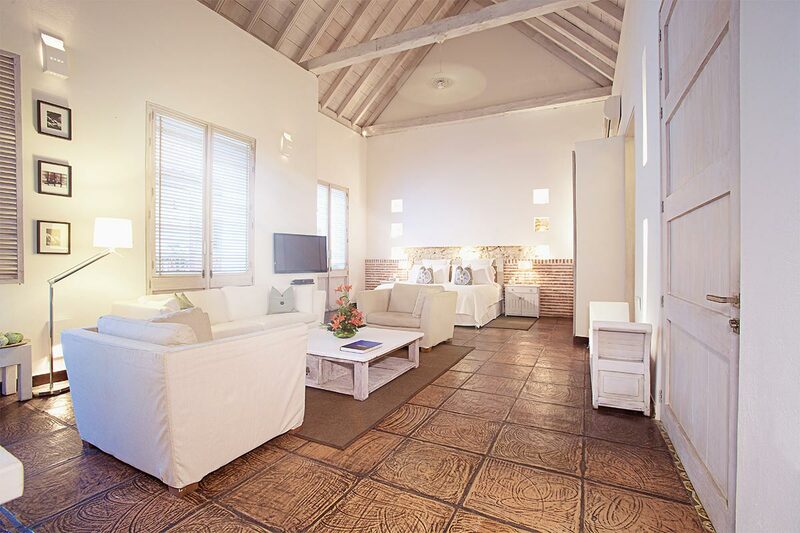 Style, elegance and warmth characterise these Luxury Hotel Cartagena Junior Suite Sofacama PLUS, approximately 500 Sq. Feet. Modern and contemporary décor form a warm environment with every detail. Soft bath robes and slippers will invite you to relax. 42” T.V. with satellite cable. Air conditioner and ceiling fans provide a cool and comfortable temperature. The beds have comfortable high quality mattresses and 100% cotton, 600 thread SATEEN sheets. All rooms offer a safe. 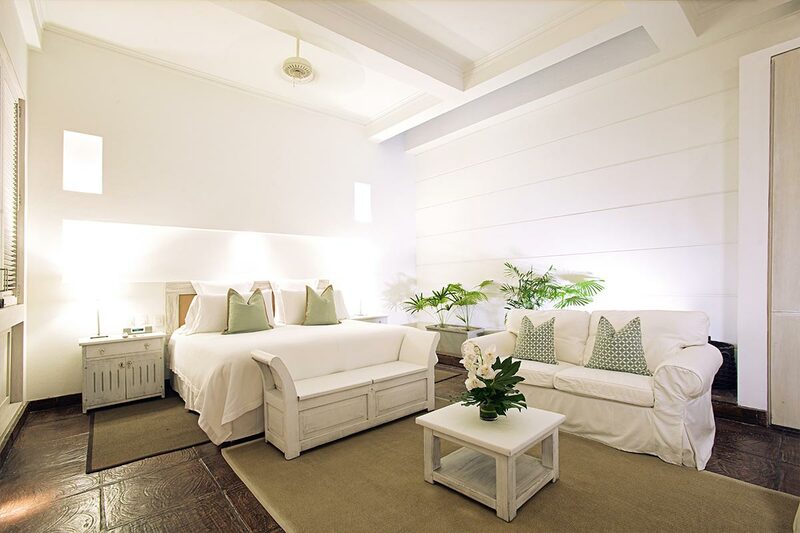 The Luxury Hotel Cartagena Suite Casablanca is our most spacious room, approximately 860 Sq. feet. It is decorated in a modern and contemporary style and has the best location within the Hotel. The room counts with comfortable and spacious sitting and dining areas, perfect spaces that give the private feeling of being at home. The room offers a King size bed with 100% cotton, 600 thread SATEEN sheets, feather hypoallergenic pillows and a 42” T.V. with satellite cable. To guarantee a comfortable environment, the room counts with 2 Air Conditioners and ceiling fans. All our rooms offer iPod docks.